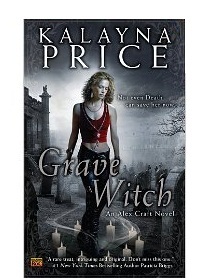 I found Kalayna Price‘s novel Grave Witch via an Amazon recommendation. I have to say that for the most part I’ve been pretty happy with their recommendation engine–though I suspect it has as much to do with the fact that I’m pretty reliably a fan of the urban fantasy subgenre, and like to see how different authors spin the ways the world as we know it *could* be. In this case, Price starts building a world in which the fae and magic practitioners are out and known about–and have raised the ire of the sorts of bigots you might more normally expect to see around racial issues. 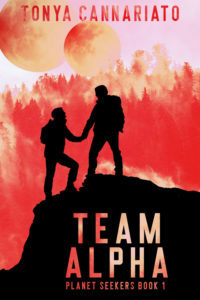 She adds the complication that Alex Craft, her protagonist, has been disowned by her upper-crusty family for the skills that put her in demand for the local police force–because they are magical and outside the bounds of what is acceptable behavior in their view. Price does a great job of sucking the reader into the world she creates. I have no problem locating Nekros City in an environment that somehow reminds me of Atlanta. (It’s apparently in some “expanded Between space” in an adjacent state, though.) And I have almost automatic respect for Alex for having stood up to her bigoted father and rejecting any contact with him for his distaste of her being tainted with magic. (hrm… What does that say about me…?!) The fact that when we meet her, she is down to her last 13 cents and worried about how she’s going to pay her bills adds a whole new layer of depth to her–she isn’t one to go crawling back to abuse just for a few bucks. I was giving the prosecution their star witness, because for once, being dead wasn’t going to stop the victim from accusing her murderer. So far the headlines were mixed on whether I was the “voice of the silenced” or the “corrupter of the dead,” but one thing was certain: it was big news. More important, as long as the defense didn’t rip me apart, I might end up on Nekros City’s permanent payroll instead of being just an occasional consultant for the police. Then I wouldn’t have to deal with fortune hunters like Henry Baker. The action follows logically from that setup: Any harried PI would be anxious to find the source of her next paycheck. And any PI worth her salt would be intrigued by the number of clues that keep dumping themselves into her lap. So the reader is carried along on the wave of action to such a degree that it’s hard to just re-read snippets of the story in search of the perfect quote to convey a sense of how well-fleshed the characters are, and how nicely they unfold onto successive pages of the story. So I’ll leave it at: I really enjoyed this book for the well-developed mystery, though at times the dark magic is described in enough detail to give a sensitive reader nightmares. Certainly, while the gore and pervasive evil Price describes were of a piece with the darkness she had Alex fighting, there were some very difficult scenes to read. Since I know there are worse in hard-core horror stories I won’t even disagree with its classification in the urban fantasy genre, but it is worth the warning for anyone who can’t stomach graphic descriptions of blood sacrifice. For anyone who enjoys murder mysteries, though, this should be right up your alley, if you like anything remotely paranormal. Even with my own disinclination toward that kind of evil and gore, I can’t help but be interested in the next two in the trilogy. The second, Grave Dance, came out this past summer, and the final in the contracted series, Grave Memory, is slated for release next July. Price says on her site that she has more story to tell than what she’s currently contracted for, too, so this could be a whole new dystopia to explore over time. All this tells me: Price has done her job very well and crafted a story I can’t let go of. 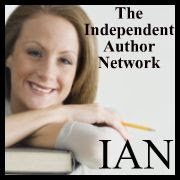 Hi Tonya, I like the whole concept of this series… Thank you for sharing. There was a comic book series from a now-defunct company that had a similar theme of magic users, witch detective type… I like that world very much. I LOVE this series. I cannot wait for the next one to come out next year!